Mercedes 190 SL Convertible. 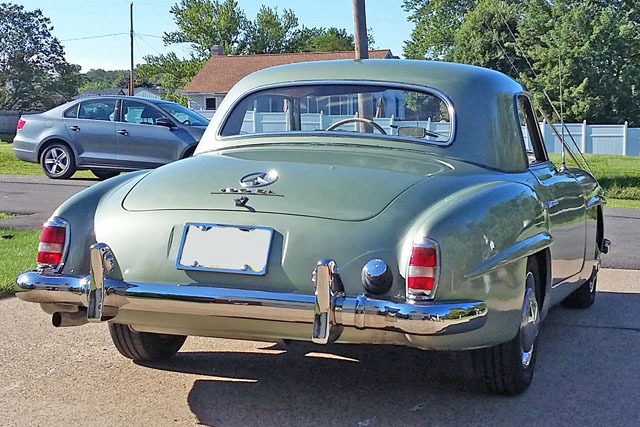 1957 Mercedes 190SL, this is a wonderful 190SL, not only does it looks great, it drives great and is one of the nicest colors that you can find on a 190SL, Hellugruen Green. Note, this car has two tops. 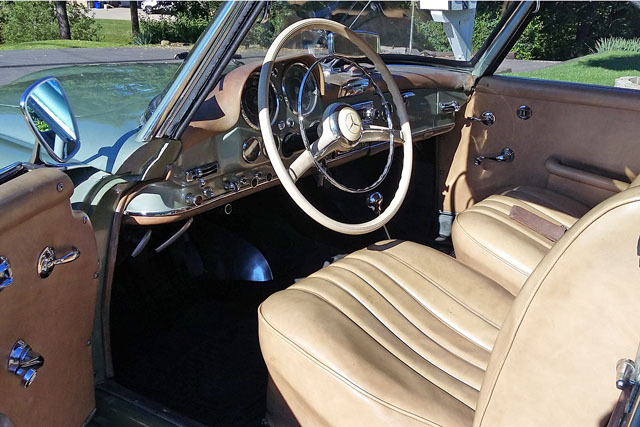 The 190SL is not only extremely popular model in the United States for collectors, but also in Europe and many other countries. Owned since 1973, comfortable ride & handling. Well cared for vehicle for 44 years. 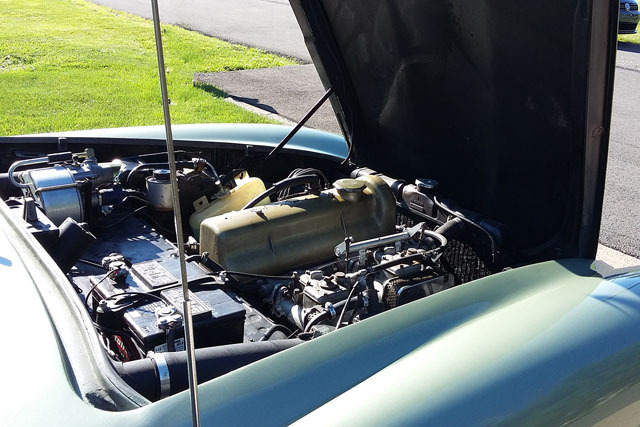 Original 4 cylinder engine and original 4-speed manual. Original factory hardtop, black soft top canvas (needs redone). Original wheels cleaned and powder coated. Upgraded Weber Bologna Type 8E side mounted carburetors. The repaint in original color was done about 4 years ago. The chrome was re-done by Paul?s Chrome plating and the car is not known to have rust or accidents. It has a few small dings and maybe a chip that you really have to look for to see. The underside is clean and tidy. The wheels have been powder coated. The tach and speedometer are not currently working. The power brake booster has been replaced, same as original. The car also has a new fuel pump. A newer Hermosa Retrosound radio with Bluetooth that looks like the original has been placed in the car. This is a wonderful car and a wonderful price, asking $74,500 negotiable (try to find a better one! ).